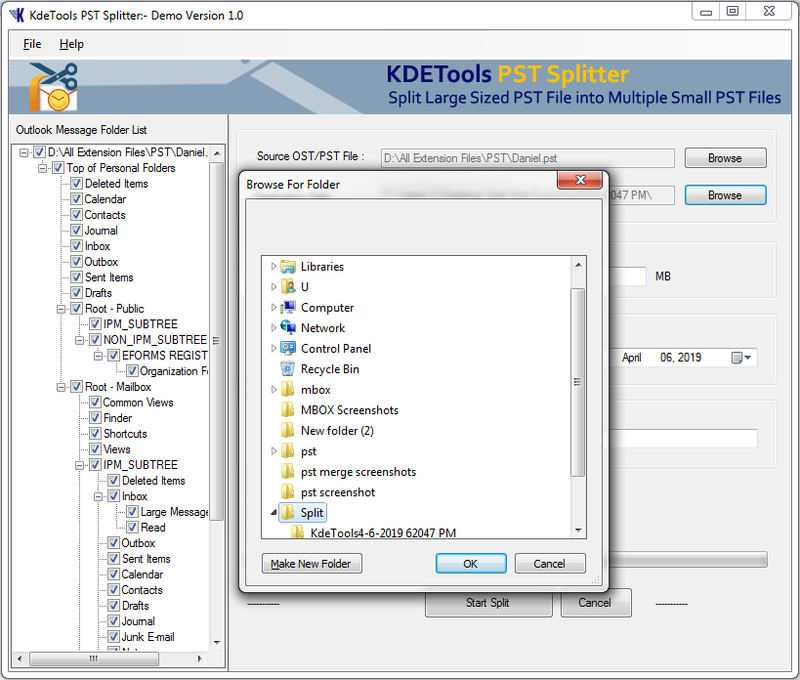 How to work PST Splitter? 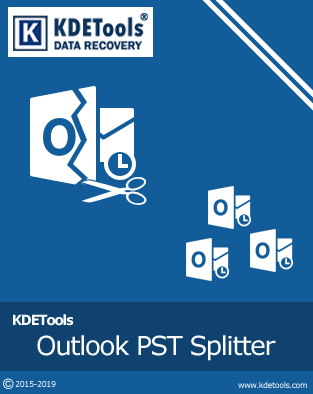 How PST File Splitter Works? 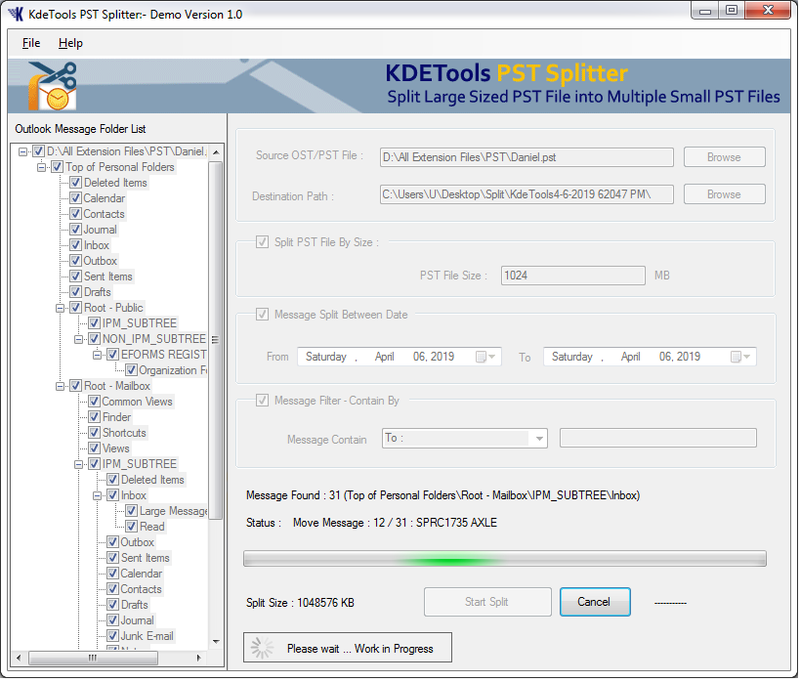 Step 1: This is a welcome window of PST Splitter. 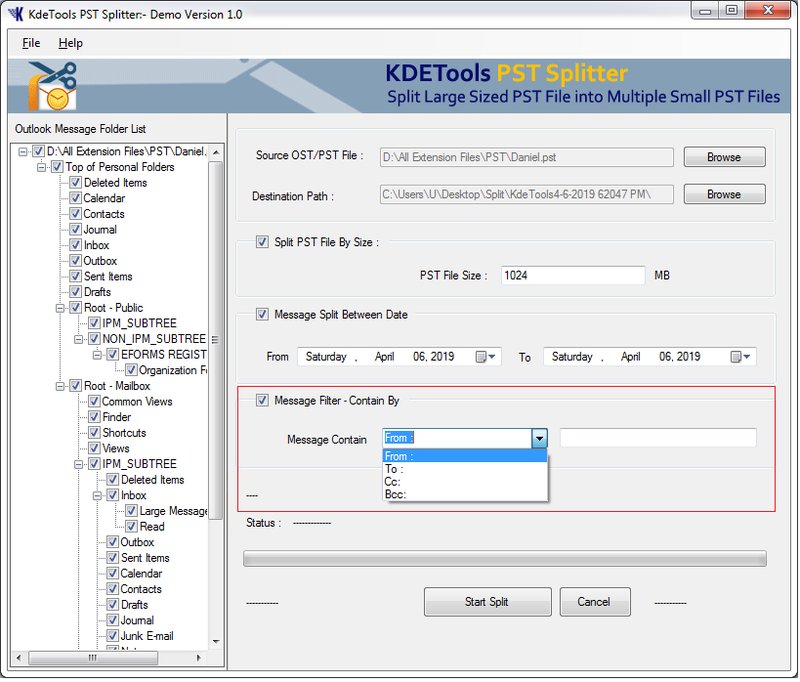 Step 2: Then, you can select PST file and click the Browse Button. 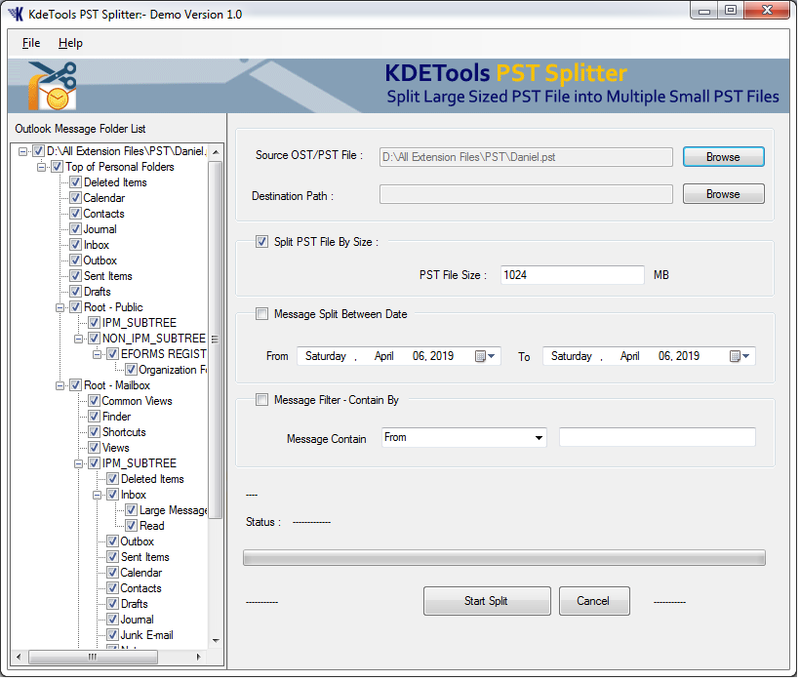 Step 3: After Select PST file you can check the folder structure, in left panel. 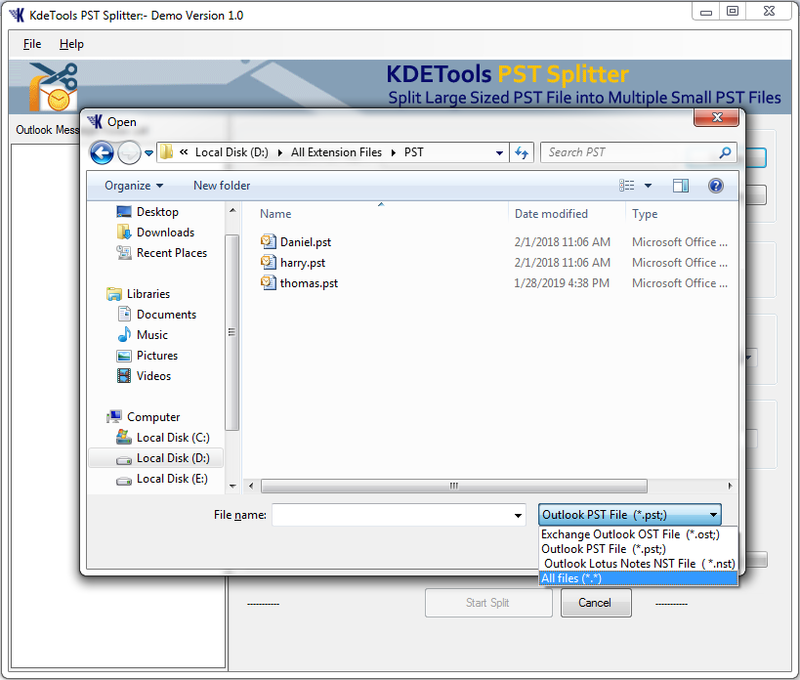 Step 4: You can select your desired location to save split PST files. Step 5: Click on checkbox to split PST File by size and you can customize it. 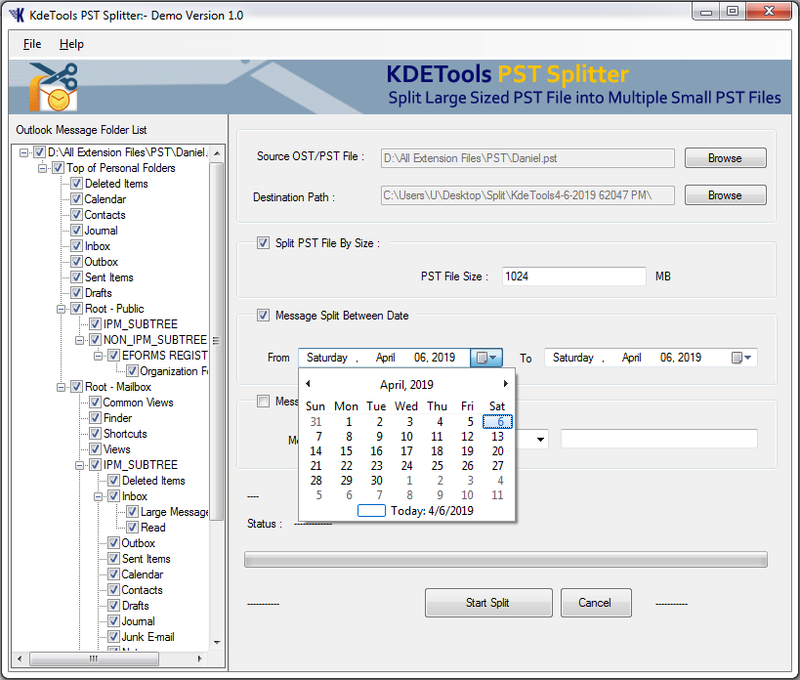 Step 6: Select Message Split option to select particular date to split data. 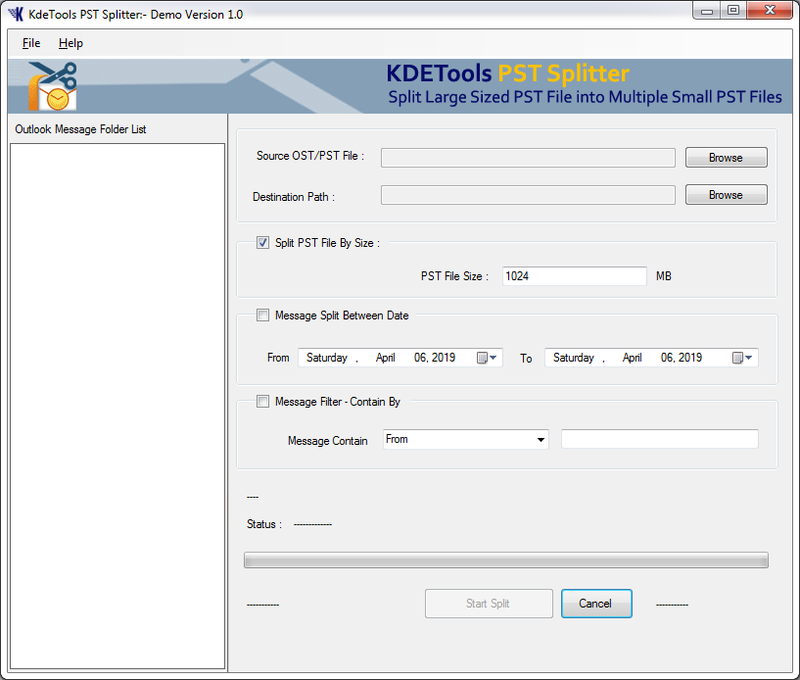 Step 7: You can select Message filter option to select certain option. Step 8: Now click on Start Split button to begin the process.